If you would like to visit our office, feel free to contact us today at (281) 531-7465. 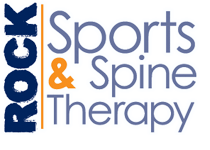 At Rock Sports and Spine Therapy, we offer a variety of services to care for your body. The Iliotibial (IT) band syndrome is a tough group of fibers that run along the outside of the thigh. The glut muscles and the tensor fascia lata muscle attach to the top, and the lower part attaches to the tibia, just below the knee. As an athlete you have special requirements. An injury could end your ability to compete – so you need minimal or no down time. You need to “Rebuild Your Body” and rebuild it fast. After an ankle injury, my decision to call Rock Sports & Spine Therapy was because of all the favorable comments I had heard about Dr Kennedy. My reason for making that first appointment, however, was the result of my conversation with Kate. Her knowledge, professionalism, and genuine concern truly made me feel comfortable. Dr. Kennedy is the best and I truly feel my recovery is about one-quarter of the time it would have been! I consider Dr. Kennedy, Kate, and Heidi to be great friends. Very happy I called! Myself and countless people I know have seen Dr Kennedy for muscle, joint, or back pain. He has been able to identify, treat, and eliminate pains that other specialist have been unable to identify. I've recommended many athletes to Dr Kennedy. They've all been able to quickly resolve their issues and get back to full strength. Dr. Kennedy helped me with a frozen shoulder last summer. I started seeing him after 4 months of physical therapy and 2 steroid shots were unsuccessful. When I began treatment my shoulder was very painful and had extremely limited range of motion. After just a few visits I began to feel relief and started regaining some range of motion. After following his treatment regimen and continuing the stretching exercises he gave me I have regained almost complete range of motion and am pain free! I am now working on getting stronger and feeling great! Friendly staff and great treatment! I’ve been seeing Bart Kennedy, as an athlete and post athlete, for over 10 years, and he has NEVER been a disappointment! I highly recommend going to him and his welcoming staff! Dr. Kennedy does a fantastic job of identifying the problem and then fixing it. Highly recommended seeing him. Love Dr. Kennedy and the entire staff. I had fallen down a flight of stairs and needed pain relief fast. I was seen quickly and felt results after the first day. So grateful to Rock Sports & Spine!! Dr. Bart and his staff are top notch. Everyone is super friendly and takes the time to listen to your concerns. Dr. Bart is very personable and genuinely takes an interest in his patients. He is not interested in running as many patients in and out as he can; Dr. Bart takes the time to listen to you and he engages actively in those conversations. Vicente is awesome as well. I started coming in to address an issue I developed while running. This was the best thing I could have done. If you are in pain and on the fence about going in, take my advice and just go. You will not regret it.